And I couldn’t agree more! 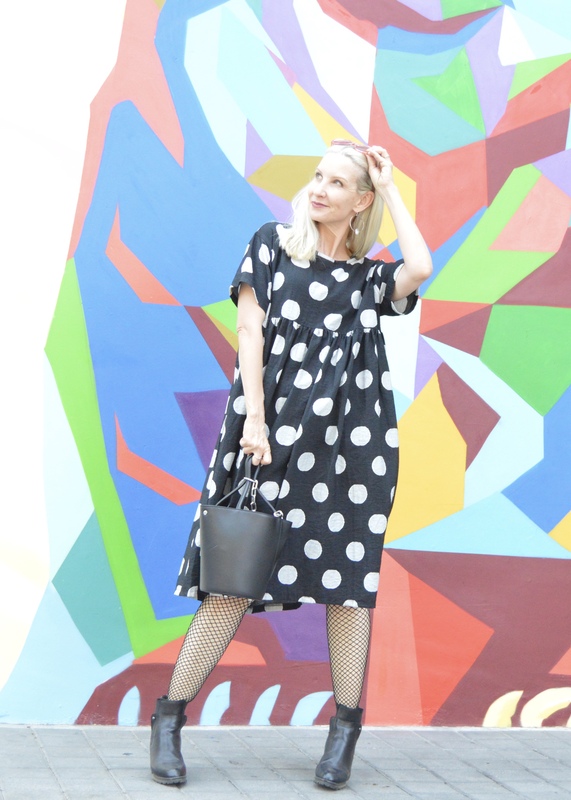 Here’s to big happy polka dots and fun oversized design! This post is a collaboration with Eva Trends. All opinions are all my own as always. I’m excited to introduce my readers to Eva Trends. Their website is full of cool and interesting pieces just right for making a fashion statement! 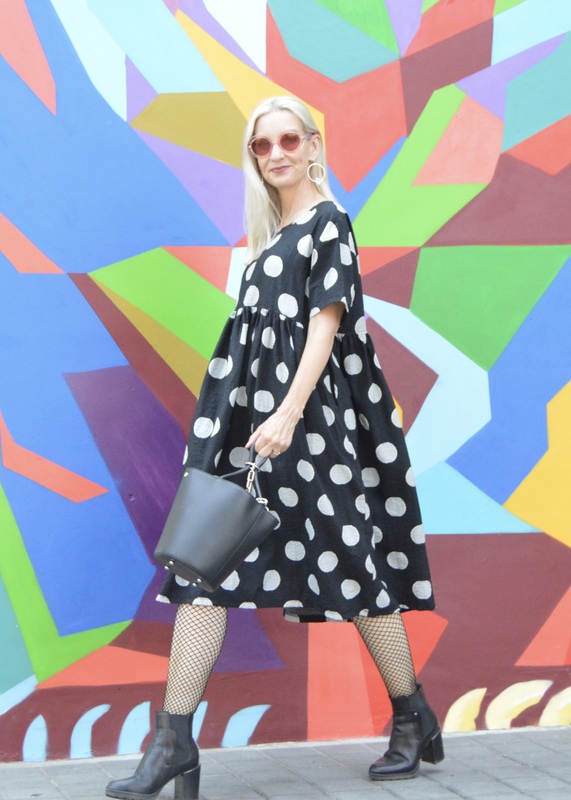 I’ve been on a polka dot kick lately and couldn’t say no to this oversized Polka Folks Smock Dress. The fabric is cool enough for summer, but will be fun to style into fall too. I’m loving the huge silvery-white polka dots. And pockets always make me unreasonable happy! 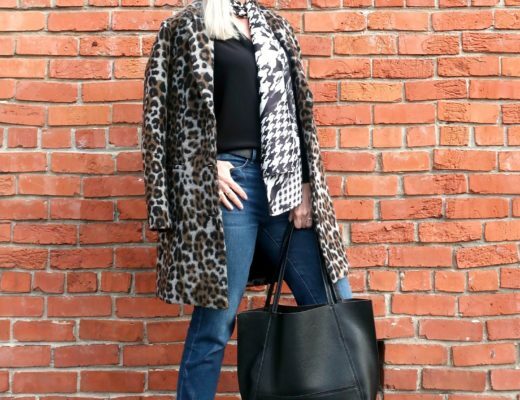 Extra good news: I’m partnering with Eva Trends to bring my readers a special discount. Take 10% off your entire order with you use the coupon code DL10 at checkout!! Avoid frumpy accessories. 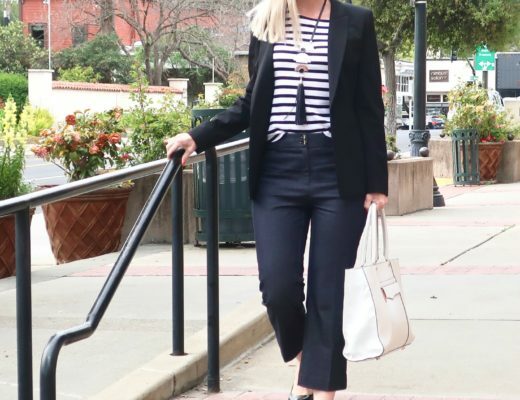 This is a look that needs something chic and edgy and/or fun and funky! Show a little bit of body. An arm. A leg. Something! 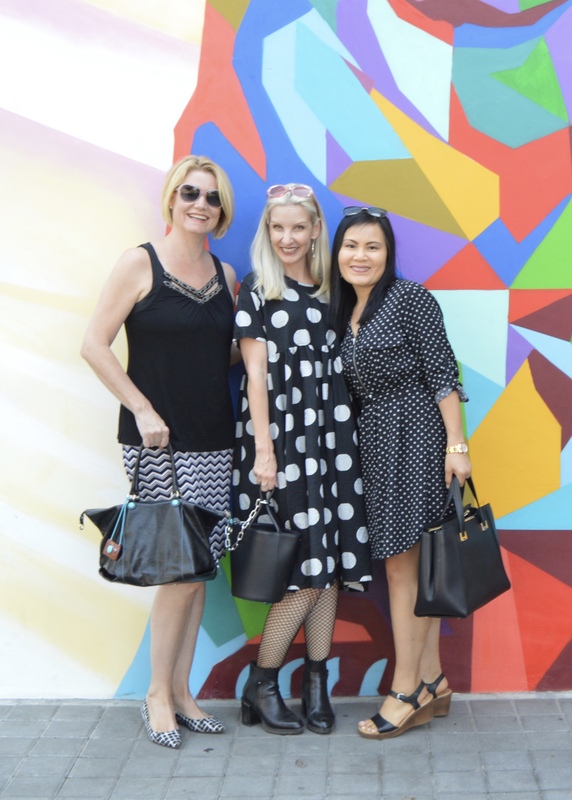 I wore this dress for a fun day of chatting and shopping with Andrea of Andrea’s Wellness Notes and my friend Lynn! We’re all teachers enjoying our summer freedom! 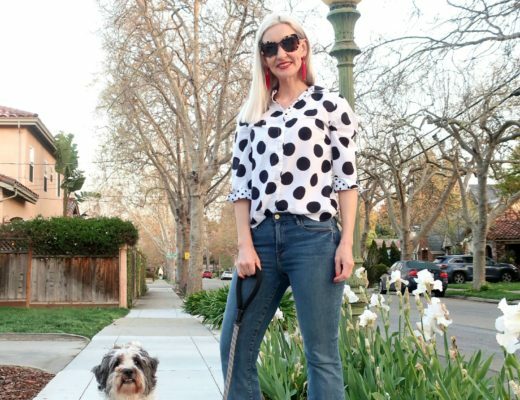 Also on the blog right now, a review of Soma’s new Enbliss bra and in case you missed it, my shoes picks from the Nordstrom Anniversary Sale. When you get a chance, be sure to check out Eva Trends and let me know what you think. Don’t forget the 10% off with code DL10! Thanks, Maria! Let me know if you give this look a try. I’d love to see what you come up with! Oh that is such a fun look! I love the stocking and booties with the dress, its’ the perfect match! I love clothing that is a bit more oversized! Not only are they comfortable to wear but there’s some air of mystery about them! 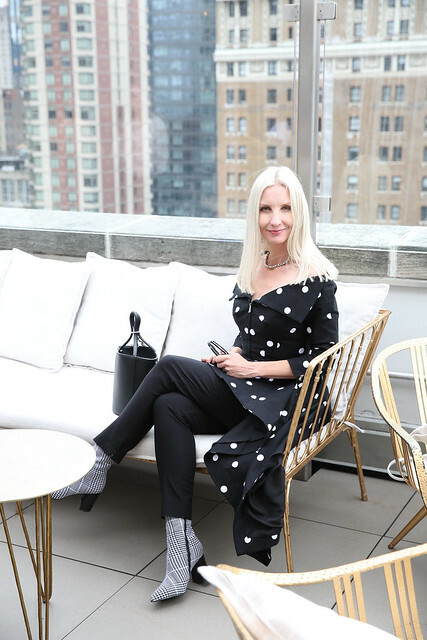 Polka dots are so the rage these days and I love how you styled your dress with booties, it gives it an edgy vibe. Well done! Oh I adore Eva Trends oversized pieces! They are so adorable. I have a few of my own. 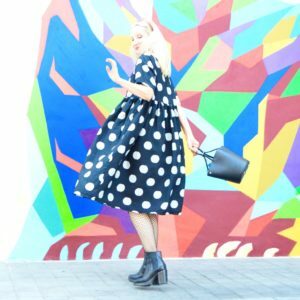 This polka dot dress is wicked cute! Dawn Lucy I love the polka dots!! So cute! I’d love for you to join our link up today! Oh, this dress is the cutest! I really like how you have styled it with the fishnets and boots. So fun to see you and Andrea together!